On Wednesday, China took the latest step toward its ultimate acquisition of America's most famous lumbering four-wheeled beast. The country's Ministry of Commerce, which previously seemed opposed to the sale, suggested that it might be open to the eventual purchase of Hummer. Ministry spokesman Yao Jin stated that "The commerce ministry and the National Development and Reform Commission both hold a supportive attitude towards Chinese companies venturing abroad." Although apparently endorsing the sale, Yao went on to note that "This is not a decision for the government," a somewhat disingenuous comment, given that the ministry must approve any deal that is worth more than $100 million. He went on to note that the Ministry of Commerce has not yet received an application for the deal. China is eager to enter into the American name-brand market, but is very concerned about the potential damage that could be caused by a false move. The purchase of a doomed brand, for example, could set the country's expansion plans back considerably. In this context, the Ministry of Commerce's vacillations make a great deal of sense. Hummer, the famed producer of gas-guzzling, quasi-military vehicles, has been a tough sell. When the company looked like a good bet, General Motors seemed loath to part with it. However, by the time that it became apparent that Hummer was a cinderblock around the foundering company's neck, the purchase offers seemed to be evaporating. In the case of Sichuan Tengzhong Heavy Machinery, the Ministry of Commerce had reasonable concerns. The manufacturer, which produces cement mixers, tow trucks and other industrial/construction machines, has never made consumer products, and seems to only have a vague idea of what to do with the ailing brand. 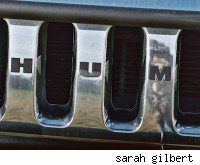 Moreover, Hummers are currently built at a plant in Shreveport, Louisiana. In the original agreement, the company's new owner was required to use the plant to produce the cars. According to some reports, the Shreveport plant is currently scheduled to close in 2012. It is possible that its shuttering may play a part in the Ministry of Commerce's apparent change of direction. Alternately, the fragmentation of the seller into "Old GM" and "New GM" could, conceivably, remove roadblocks to the sale. Regardless, the sale hasn't happened yet; while GM is hoping to make the deal by the end of the third quarter, the coy behavior of the Chinese government suggests that that may be excessively optimistic.